I was recently reading in a magazine how different people relax so I decided that a blog on how I relax here in Governors Harbour would be fun….. Becoming aware of the things that we do to recharge our batteries is a very important step to making sure that we do them on a regular basis. Life is busy and frantic for most of us these days – even here in Governors Harbour – so taking time to do things that bring us joy and centre us is very important. Reading of course is very near the top of the list for me – I have subscriptions to my favorite magazines – US Vogue, UK Vogue, Vanity Fair, Conde Nast Traveller, Architectural Digest – but one of the great delights for me is when our renters come and leave magazines that I don’t buy myself. So thank you Brooke Bell for leaving me Atlanta Homes, Milieu, and the Cottage Journal ! I avidly read books as well – recently I finally got around to reading The Little Friend by Donna Tartt – a large heavy book that you cannot slip in a bag to dip into – but it is worth sitting down and putting your feet up on the sofa and thoroughly immersing yourself in. I have just finished a very good book called ‘ The Vanishing Act of Esme Lennox’ by Maggie O’Farrell – a writer whose books I enjoy – I would say I recommend it but personal choices in books can be a minefield ! I love picking up books that have been left in the houses and reading things I would never normally choose – so please feel free to discard those novels you have finished !! A good shipment coming in through Seacor will always have a book or 2 for me to relish. Cooking is another way I relax – I remember years ago reading ‘How to Eat’ by Nigella Lawson and thinking that the woman was nuts when she said that stirring a risotto was like a meditation for her ….. But now I totally understand what she means. It is about being fully engaged in something that you really love to do – and you get to eat the results ! Walking the beach at French Leave is another favorite way to relax – such a world class beach right here on our doorstep – and of course I don’t do it often enough. However on July 10th – Bahamian Independence Day – it was the perfect opportunity to enjoy a walk and a swim with Bob and Joe-Louis. It is so terribly easy to take what is around us for granted and a walk on that beach brings back immediately how spectacular the waters of the Bahamas are – the colors are always a delightful shock – and that pink powdered sand – such a perfect way to immerse yourself in the beauty of the natural world. Meditation is a daily practice for me – I use a wonderful site called Headspace – I am sure I have mentioned it in a blog before … Anyway I was recently working through a series of guided meditations on creativity – and the wonderful thing about these meditations is how they manifest in your life. During the series I had a vivid dream about a house I was living in – so vivid that over the next few days I sketched the plan of it out. So now one of my favorite ways to relax is to work on the layout, decor and feel of this literal dream house, refining and exploring the possibilities and options it offers. Who knows – maybe one day it will manifest itself right here…..
Daydreaming and just allowing ourselves the time and the space to allow our thoughts to drift into creativity and relaxation is a gift we all must allow ourselves the time to do…… Take some time and think about how you unwind and relax – and let me know……. Joe – still digging ! Governors Estate Eleuthera Art Appreciation Society ! Thanks Kathy! 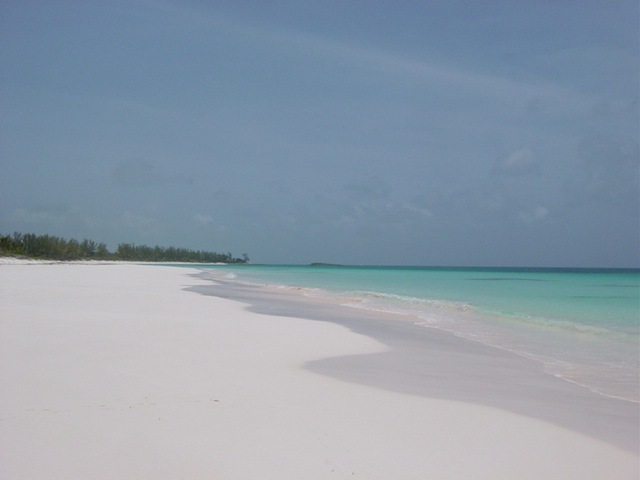 I try to walk French Leave – or any of Eleuthera’s other gorgeous beaches – every day. Taking in the natural beauty while getting a bit of exercise is the perfect way to relax! And finishing with a refreshing dip in the sea – what could be better! I agree – only to bettered by finishing of with a cold Kalik ! The French Leave beach is the most beautiful place I’ve ever been. It’s been close to 10 years since we visited Eleuthera, and I can’t wait to come back. I love reading your blog. It’s like taking a vicarious vacation! Thank you! So pleased you enjoy it ! Come back soon – sounds like a visit is long overdue……. So lovely to read how Eleuthera works it’s magic for you as well….. The reading list of the book club at Haynes Library is always a good source for me of new books.